American literature and culture, Edith Wharton, composition, childhood studies and children’s literature, adoption studies. Carol J. Singley (Ph.D. Brown University, M.A., B.A. Pennsylvania State University) is Professor of English at Rutgers University-Camden. Her research and teaching interests include American literature and culture, Edith Wharton, composition, childhood studies and children’s literature, adoption studies. She has served as a Fellow at the Center for Children and Childhood Studies, director of the Undergraduate Liberal Studies Program, co-director of the American Studies Program, director of Women’s Studies program, and director of the M.A. Program in English. She is co-founder and executive board member of the Alliance for the Study of Adoption and Culture (ASAC), an association of interdisciplinary scholars and practitioners who bring greater understanding to representations of adoption, identity, and family construction. She is the General Editor of the 28-volume The Complete Works of Edith Wharton (Oxford University Press, ongoing), which produces reliable, fully annotated texts of Wharton’s 25 novels, 86 short stories, 3 volumes of poetry, and dozens of books of nonfiction. 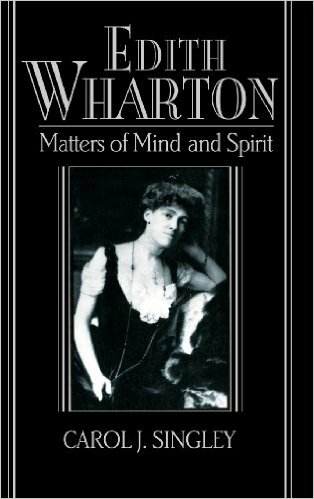 An internationally known scholar of Edith Wharton, Carol Singley is author of a book about the religious, moral, and spiritual dimensions of Wharton’s fiction, Edith Wharton: Matters of Mind and Spirit (Cambridge University Press, 1995). She is co-author of Maison de Deuil, Maison de Liesse? (House of Mourning, House of Mirth? 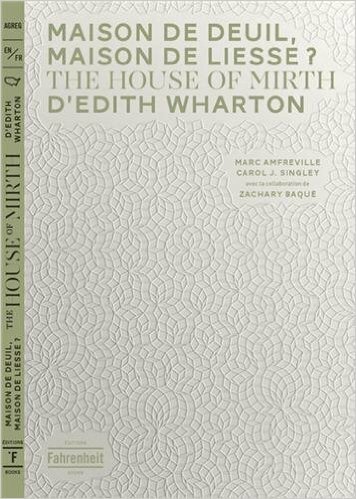 ): The House of Mirth by Edith Wharton (Éditions Fahrenheit, 2013). She is the editor of four volumes on Wharton: the fully annotated New Riverside Edition of The Age of Innocence (2001), the Oxford Historical Guide to Edith Wharton (Oxford University Press, 2003), Edith Wharton’s The House of Mirth: A Casebook (Oxford University Press, 2003) and the fully annotated Ethan Frome (Broadview Press, 2013). She has published numerous articles on Edith Wharton’s fiction and writes the annual bibliographic essay on Wharton for American Literary Scholarship. 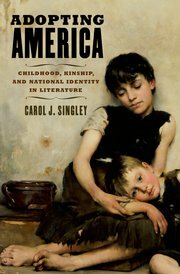 In her recent work, Carol Singley examines constructions of childhood in American literature. She is co-editor of The American Child: A Cultural Studies Reader (Rutgers University Press, 2003), a collection of essays that helped shape the emergent field of childhood studies. She is the author of Adopting America: Childhood, Kinship and National Identity in Literature (Oxford University Press, 2011), which argues for and demonstrates the centrality of adoption in American literature and culture from the Puritan times to the nineteenth century. She has published numerous articles on nineteenth- and twentieth-century American writers, including Emily Dickinson and Sarah Orne Jewett; feminist theory; composition; and collaborative learning. She is co-editor of a collection of essays on narrative and feminist theory, Anxious Power: Reading, Writing, and Ambivalence in Narrative by Women (State University of New York Press, 1993), and co-editor of a book on the literary and cultural influences of Puritanism in American literature, The Calvinist Roots of the Modern Era: Essays on Fiction, Drama, and Poetry (University Press of New England, 1997). She has an active interest in composition and has consulted on teaching reading and writing at the primary and secondary school levels. A proponent of service learning and civic engagement, she served in the inaugural group of Faculty Fellows in the Office of Civic Engagement at Rutgers-Camden (2012). She is recipient of two grants from Bildner Intercultural Fund for the development of multicultural children’s literature. She developed and regularly teaches an undergraduate course, Literature of Childhood, in which as part of the curriculum, students read fairy tales, poems, short stories, and novels to children in afterschool programs. Carol Singley serves on the board of the Walt Whitman Association, which supports historic preservation, literary appreciation, education, and tourism at Whitman’s home in Camden, and she frequently serves as judge of the association’s annual High School Poetry Contest. She is the recipient of grants and fellowships from the New Jersey Council on the Humanities, the National Science Foundation, the American Antiquarian Association, and the Center for Critical Analysis of Contemporary Culture, Rutgers University. She received the Alumni Association Outstanding Faculty Award in 2002, the Provost’s Teaching Excellence Award in 1996, and was nominated twice for the Lindback Lifetime Teaching Award. Her leadership includes serving as president of the Northeast Modern Language Association, president of the Northeast Modern Language Association Women’s Caucus, and president of the Edith Wharton Society. Page last updated at 3:09 pm August 14, 2015 . This page was printed from singley.camden.rutgers.edu/ on Friday, April 19, 2019.